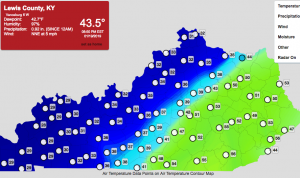 Kentucky Mesonet monitoring sites across the state show the range of temperatures as the winter storm advances. A winter storm moving east will arrive in Lewis County overnight bringing wind chills near zero and some icy precipitation. Four Vanceburg residents have been arrested as the result of an ongoing drug trafficking investigation by the Vanceburg Police Department. A local pharmacy employee and her brother have been arrested and charged in connection with the alleged theft of prescription drugs from the pharmacy and then illegally selling those drugs. Vanceburg City Council met in regular session last week with members giving approval to the LCHS Art Club for the use of the meeting room at the William T. Cooper Municipal Building. 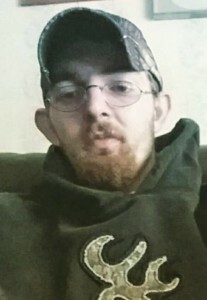 A Tollesboro man has been arrested and charged in connection with a shooting incident late Tuesday that sent his mother to a trauma center. 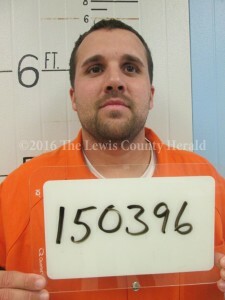 A man in prison for his part in the robbery and beating death of a Lewis County man in 2000 will spend at least four more years behind bars. Charlie Prater, Joe Billman, Marvin Prater, parole hearing, Ricky Dale Switzer Jr.